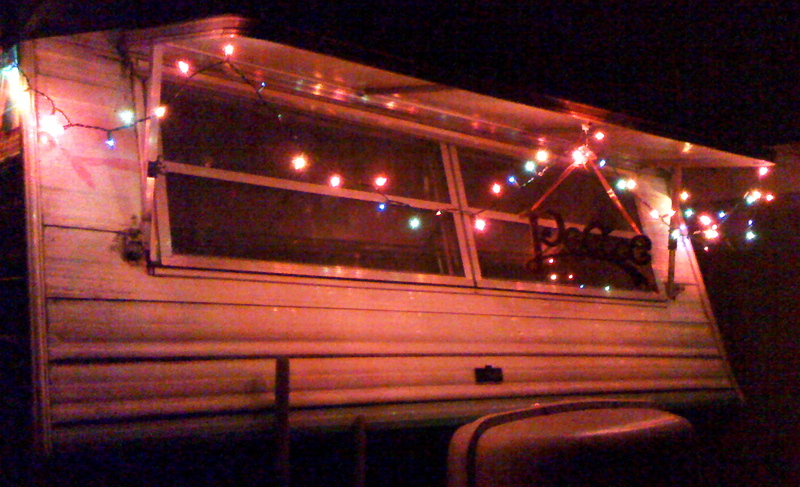 I got my Christmas lights put up today. Took me all of about 90 seconds, and most of that was spent trying to find the extension cord. It’s not like I have a huge area to cover or anything. In fact, one of the things I like about living in a hundred and forty square feet is that it’s really easy to decorate for the holidays! Makes life so much simpler this time of year. Now I have time to do other things like… walk on the beach or go to Disneyland! You thought I was going to say shop, didn’t you? Nope, I’m not a shopper. Never have been. My favorite gifts are hand-made and sweet and chocolate-y. I also got my Christmas tree today and it’s all decked out in ornaments and garlands – took me all of 3 minutes to do it! And then, guess what? The app added the sparkling lights and falling snow all by itself! How cool is that!? I don’t even have to be at home to see my tree – it goes everywhere I go. I don’t have to water it or worry about its needles falling on the floor. The cat can’t knock it over. I can even re-decorate it, if I want. All I have to do is start the tree app on my phone and there it is! So, the pomegranate liqueur is in the making, the mint chocolate chips are ready for cookies, the zucchini chocolate bread is cooling on the rack. I’m ready for the holidays! Bring ’em on! And I’m wishing each and every one of you a calm, peaceful holiday season, full of the things that make you smile. Eat more veggies! That’ll help! Lois November 29, 2011 June 16, 2015 It's All About the Trip, Now What? I would love to know what app you have. We usually purchase a small live tree with lights already on it, from Trader Joe’s. No need to cut a tree that has spent years growing. I love your ideas for “gift giving”. We made the decision a few years back, instead of trying to figure out something that everyone “wants”, when they already have more than what they “need”, we chose a quality cause to give to in all their names. Yes, with the youngest grandchildren, we usually get them a “little something”, but we also feel it is important for them to realize how very blessed they are as they see how others are suffering. It is difficult this year to chose, not from a lack of good causes, but because there are SO many. I do have a special place in my heart for children, also feel that when we can make a child’s life better, that will have a “ripple effect” for years to come. Hi Lorna! I actually have a couple of Christmas tree apps – I just searched on the term and picked a bunch of freebies. The one in the blog post is called Christmas Tree and is by Sticky Ice Games. 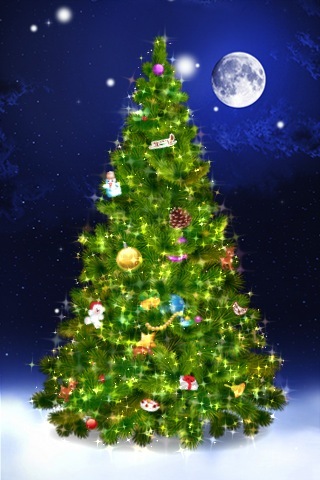 It lets you to save a picture of the tree, all decorated and everything! Have fun with your holiday decorating! Thanks, will have fun searching and “decorating”!